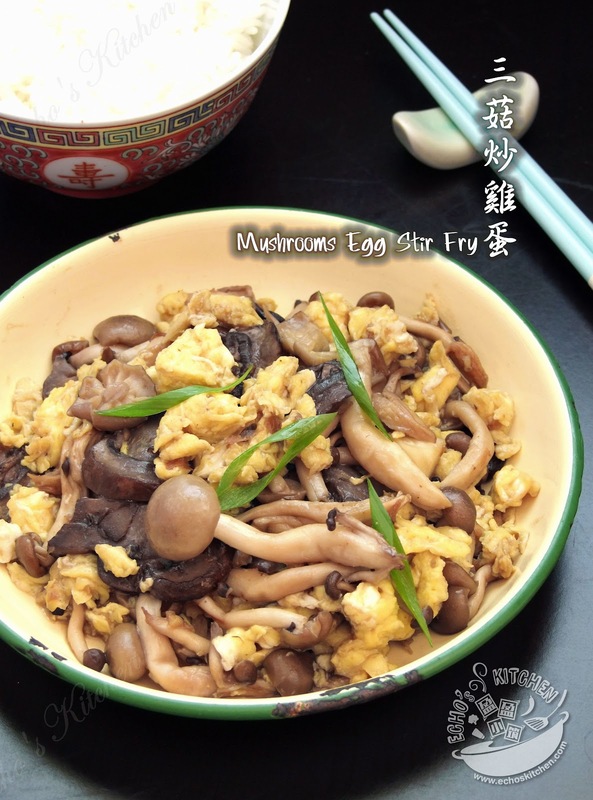 Note：You can use any type of mushroom for this dish. 1. Clean and prepared the ingredients accordingly. Add some salt, pepper powder and 1/2 tsp of chinese cooking wine into eggs, lightly whisk till slightly fluffy (Bubbly). 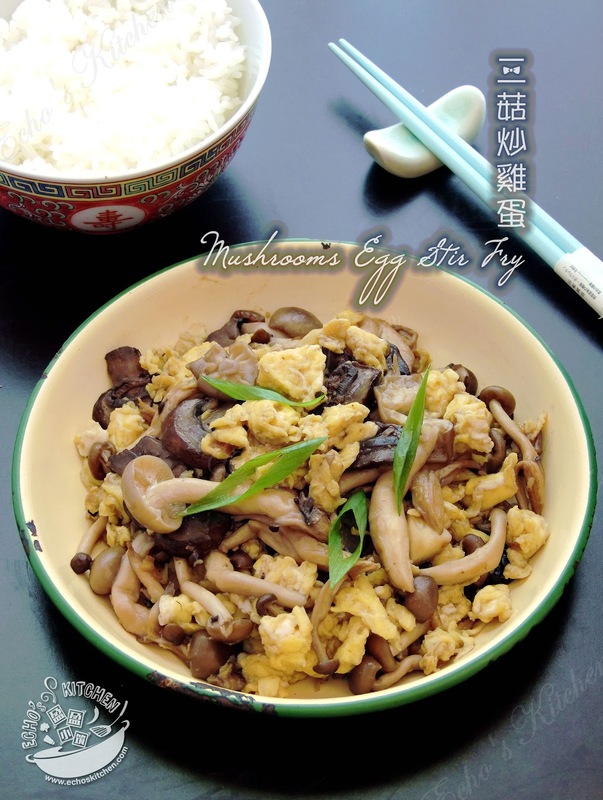 Note：Adding Chinese cooking wine makes the scrambled egg taste so much better, try it out! 2. Heat up a wok/cooking pan, add 1 tbsp of oil, quickly scrambled the egg, take it out and put aside. 3. 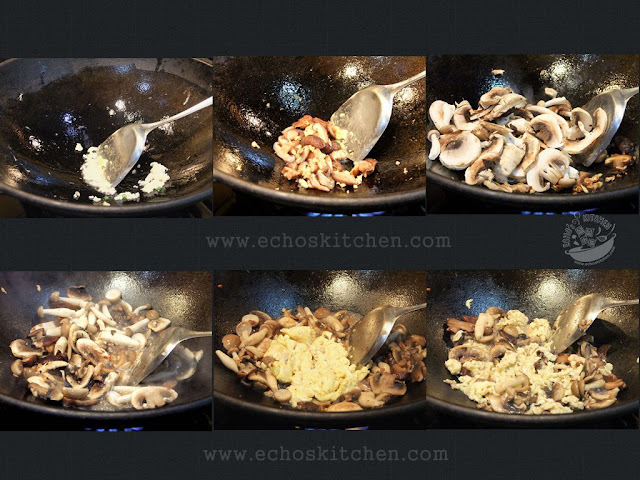 In the same cooking pan, add another tsp oil, stir fry garlic and dried mushroom until fragrance, and add the other two types of mushroom, stir well. 4. Season with oyster sauce, fish sauce/soy sauce and about 1 tbsp of water. 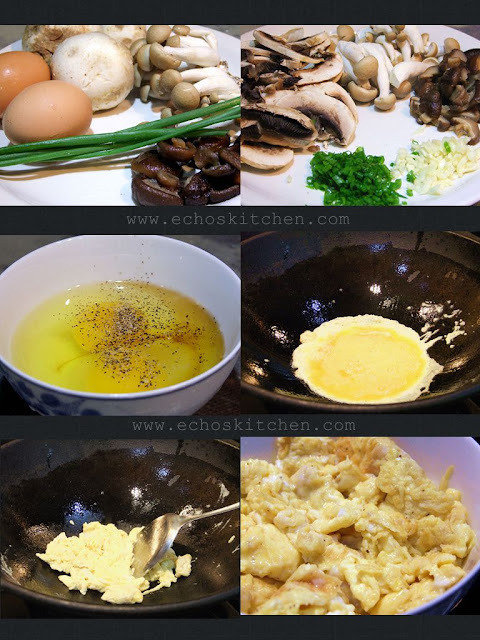 Add the scrambled egg, stir well and continue cooking for about 1-2 minutes. 5. 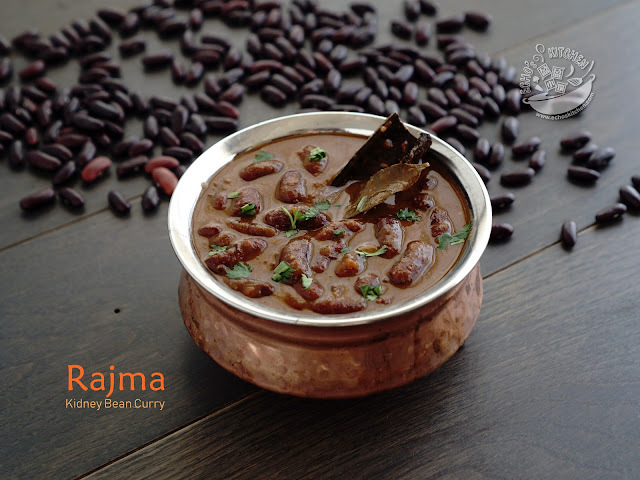 Add a few drops of sesame oil, sprinkle some chopped spring onion before serving.